One of the most wanted Bosnian Serb war crimes suspects, former leader Radovan Karadzic, remains as much an enigma as his whereabouts 11 years after The Hague-based UN War Crimes Tribunal indicted him. The International Criminal Tribunal for the former Yugoslavia (ICTY) raised the initial indictment against Karadzic and his army commander general Ratko Mladic on 24 July 1995. It charged them with war crimes, genocide and crimes against humanity during what was then the ongoing 1992-1995 war in Bosnia- Herzegovina. The charges included permanent attacks on the Bosnian capital Sarajevo from the surrounding hills held by Bosnian Serb troops, as well as organizing detention facilities for non-Serb population, mostly Muslims, in the areas controlled by Bosnian Serbs. During the war (1992-95) Sarajevo was under siege longer than any other city in modern history -- longer even than Stalingrad. As soon as the world learned of the massacre in the former eastern Bosniak enclave of Srebrenica, where Bosnian Serb troops massacred 8,100 Bosniak men and children on 11 July 1995 - ranging in age from babies to the elderly - the ICTY raised another indictment against the two in November 1995, charging them with the Srebrenica massacre. 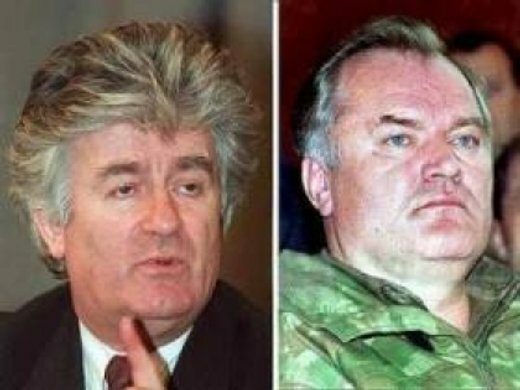 The initial indictments were further amended in 2000 for Karadzic and in 2002 for Mladic, when more charges were added. 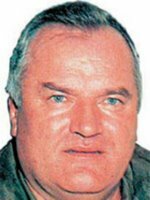 While demands and media speculation over the past year have been rife about Mladic possibly being detained, stories about Karadzic have rarely surfaced. "I do not know where Karadzic and Mladic are. I do not have any element right now to believe they are in this country," the commander of some 6,000-strong European Union Force (EUFOR) in Bosnia, Italian Major General Gian Marco Chiarini, told media in Sarajevo. EUFOR intelligence, he said, would know for sure if the two most wanted fugitives were in Bosnia. The fact that Karadzic and Mladic were not behind bars yet, according to president of the Association of Victimized People Fadila Memisevic, showed that "the international community is not ready to deal yet with their apprehension," despite different signals from Washington and Brussels. "Obviously there is no political will. Karadzic and Mladic were not arrested when they were here 11 years ago, when some 60,000 fully equipped UN peacekeepers were deployed in this country, with the support of probably the strongest concentration of intelligence in the world at that time," Memisevic told Deutsche Presse-Agentur, dpa. "Since they did not manage to catch them 11 years ago, I doubt that will happen now," she said. Memisevic also said she still believed in a "conspiracy theory" according to which Karadzic made a deal with the US officials to simply disappear from the political and public life of Bosnia- Herzegovina and its Serb entity, the Srpska Republic, in exchange for his freedom. Munira Subasic of the Association of Srebrenica Survivors - Mothers of Srebrenica, also believes the world and Europe should be more active when it is about Karadzic. "If the world and Europe only wished that, Karadzic would have been in The Hague a long time ago," said Subasic. But political analyst Tanja Topic from Banja Luka in the Srpska Republic dismisses a conspiracy theory. "There is so much speculation, but I think the stance of most European officials is the same - Karadzic and Mladic must be apprehended," said Topic. The EU, she said, would never soften its demand for Karadzic's and Mladic's arrest. "It will continue to insist on that, with no pardon." The key of the problem, she said, is hidden in the deep tradition of the Serbs in the Srpska Republic and neighbouring Serbia. An approach to the problem through the tradition, she believes, would also explain why Mladic's name was often mentioned in the media, while everyone seemed to have forgotten Karadzic and his deeds. "Mladic is much more respected than Karadzic. He is considered a soldier, and his eventual arrest would be bigger problem than the arrest of Radovan Karadzic," said Topic. Being a soldier was always considered in the Balkans, especially among Serbs, as an honourable and respectable thing that would show a transformation of a boy to a man, she said. "Karadzic was not a soldier, and he was not given such importance as Mladic was. Besides that, Karadzic's popularity decreased with gossip about his various criminal acts against his own people." Another factor, she said, was that Mladic had been located, which merited more space in newspapers. 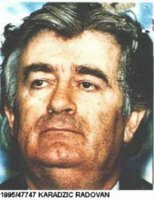 Karadzic's whereabouts remained unknown - and so being a stale news for years. While she strongly hopes the justice will be satisfied one day, Munira Subasic - who lost her family in the Srebrenica massacre - believes Karadzic will never be arrested. Empty initiatives to get Karadzic before the ICTY, she said, would probably never work. He would remain at large, but would pay for his crimes in another way. "Let them (Karadzic and Mladic) stay heroes of their own people, while nobody touches them," she said. "They have had to change their lives, to cope with the fact that they will have to hide from the rest of the world and abandon a normal, decent, human life in exchange for freedom until they die." In 2000, the U.S. Jury returned $4.5 billion verdict against Radovan Karadzic. 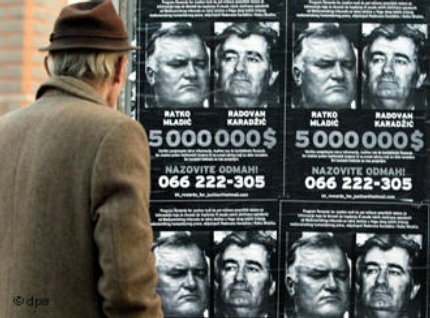 The U.S. Government is offering $5 million reward for information leading to the capture of Radovan Karadzic and/or Ratko Mladic.